Hey, which editorial calendar software do you use? A common question, yes, but there are a wide range of answers and options. Considering all of the advancement that has happened in the content marketing space over the past few years, you'd think that editorial calendars would be as straight-forward as can be, right? Well, that's not the case. The tricky thing about managing an editorial calendar is that you need a solution that is both simple and complex. On one hand, you need to be able to manage several deliverables simultaneously and be able to understand high-level information, such as status, timelines, and "what's coming" at-a-glance. On the other hand, you need to have a way to take a dive into each individual content piece, managing the production process while being able to collaborate with clients or colleagues along the way. Over the years, I've tested out several editorial calendar apps at different price points. My experience with various options on the market was that it was hard to use, limiting, and costly. For one reason or another, I always found my way back to Google Sheets. That is, until I found Trello. 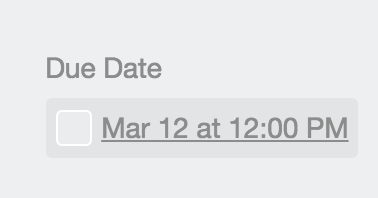 For me, Trello combines the best of both worlds in project management and editorial calendar software. For those of us that process information better in a visual format (me, me, me! ), Trello is both pleasing on the eyes and productive. A few days ago, I was browsing Inbound.org and came across this conversation asking "What kind of content management/editorial calendar system do you use?" In this post, I'll share my approach to using Trello to build an editorial calendar in hopes that it helps take the mystery out of editorial management, in order to save you some time and frustration. 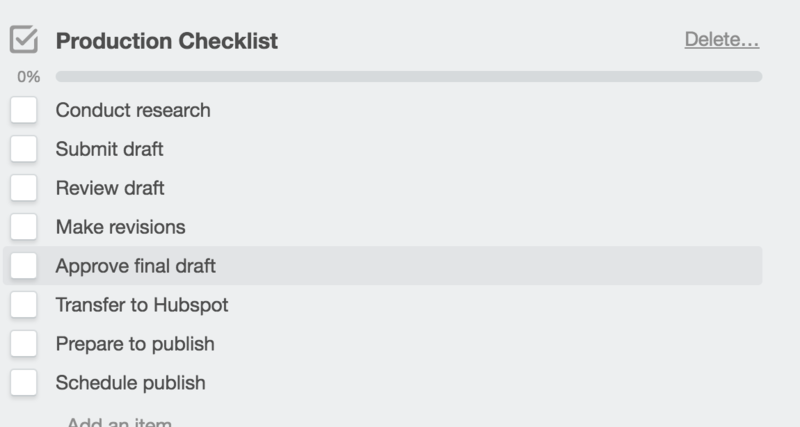 #1: Create a list for each content type. This can include (but should not be limited to) the following: blog posts, emails, social media, premium offers, case studies, landing pages, CTA buttons, etc. If it's something that you are creating as part of your inbound campaign, it should be there. You might also consider other content types, such as: ads, press releases, or articles in industry publications. I also like to create a list for "other" to catch miscellaneous content deliverables that come up. Think of each of these lists as your main categories for the types of content that you're creating. #2 Create lists for any additional resources or information you might store on Trello. Trello is actually more than an editorial calendar, so it can be helpful to create lists to organize any additional information that should be stored here as part of your "inbound hub." Editorial content & guidelines: contains information relevant to the editorial process, such as marketing strategy, information on buyer personas, your agreed-upon workflows and timelines for content production, etc. Wishlist: create a space to save your ideas and brainstorms about future topics, or pieces that you may want to create in the future, but are not in the immediate plan. Campaign resources: used to house reports or other materials used across several pieces in a campaign. 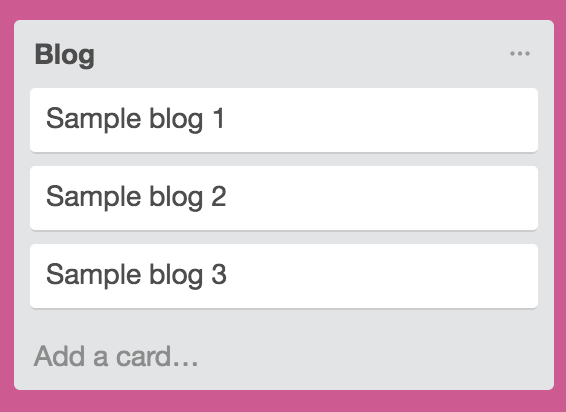 #3: Create a card for each content piece within the appropriate list. Within each list, create a card for each content piece, such as each individual blog post, email, offer, etc. #4: Customize your card with details specific to each piece and its production process. 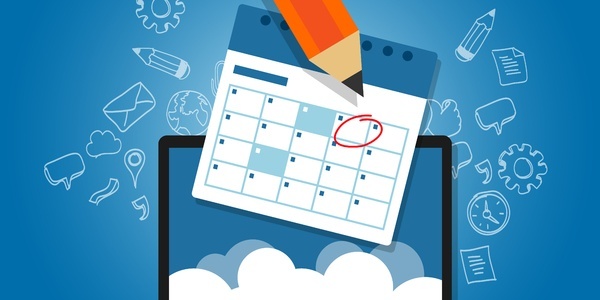 #5: Enable the calendar function in Trello. By enabling the calendar power up, you'll be able to see your editorial deliverables in a calendar format at the click of a button. #6: Explore additional power ups that meet your needs. There are many different options for add-ons that allow you to customize your board and integrate with other software that you use. One that I think could be particularly useful is time tracking software that allows you to track time spent on each piece directly from your card. There are several options for time tracking software if this is something that you are interested in. 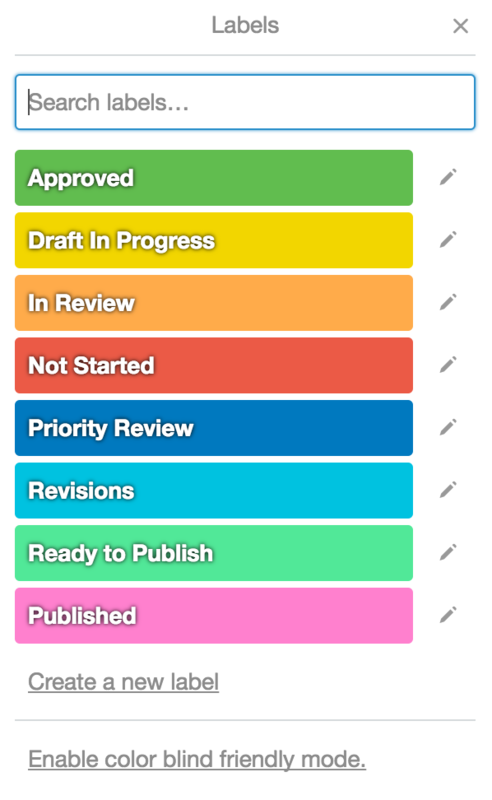 Word to the wise: neither Trello nor my process is perfect. This is the best and most manageable option that I've found in my years managing inbound marketing for startups. I don't consider myself a "process person," so I look forward to you sharing any feedback or personal experience in using Trello for editorial calendar management in the comments below!